Grilled Zucchini! If I had to pick one go-to vegetable for the grill I can never spell right the first time, it would be zucchini. With minimal prep and a fast grill time, zucchini is a great vegetable for any meal. While there are many different ways to prepare zucchini for the grill, my preferred method is to take a zucchini and slice it into lengthwise sections, no more than a ¼ in thickness. 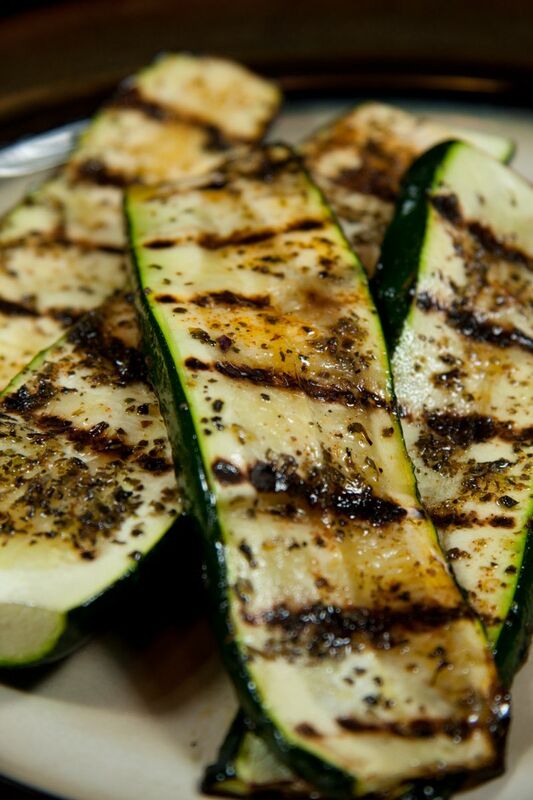 Rub both sides of the zucchini slices with olive oil and season with salt and pepper and your choice of fresh herbs. Grill the zucchini over direct medium heat (350 F) approximately 2 minutes a side, turning once.